This 2013 model is the latest robot with state of the art technology. It is faster, stronger, lighter and quite versatile. It covers a very small workspace since footprint has been minimised by over 25%. This however is no where near comparison to what this machine can do. How it does, laser cutting, polishing, handling of parts, machining, loading and unloading of parts will leave you with a lasting smile. Having increased power and accuracy, the long arm, 3100mm, and 6 axes can cover a wide envelope bearing loads of up to 210 kg with extreme ease achieving repeatability of 0.06 mm. It has a short work cycle and increased path accuracy compared to its counterparts. 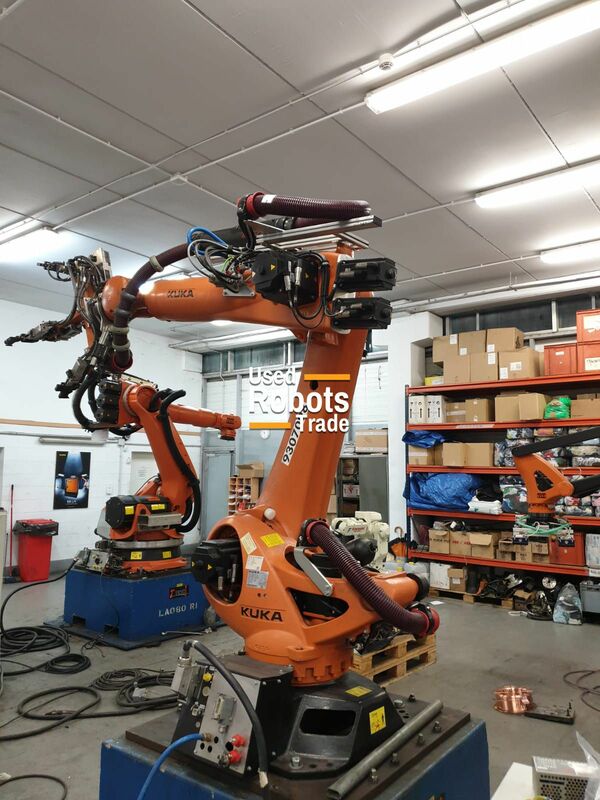 This robot is powered by the advanced KR C4 controller which has additional safety and flexibility features which will stay relevant for long since it will allow low cost upgrading to accommodate future systems. 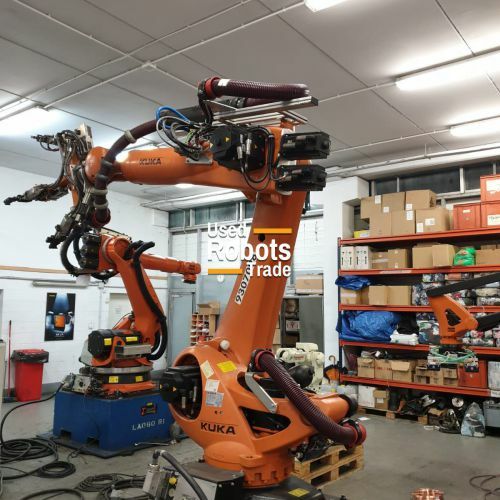 This is ground breaking technology from KUKA incorporates Safety Control, Robot Control, Motion Control, Logic Control and Process Control in a joint database to enhance intelligence sharing. The KR C4 is also easy to maintain due to improved part accessibility while maintaining the system concepts of its predecessors to promote conversance. The range of commands has also been expanded to increase flexibility while application packages for common tasks have also been increased with modification capability. With its open PC technology, this system is highly compatible with KR C2 programmes. Data consistency is ensured through central basic services while there is enhanced real time communication between dedicated processes. Network security firewall software also provides greater protection while Communication is more advanced and reliable through the system's Gigabit Ethernet support. Important system data is stored in an integrated memory card with additional security features. Other new features include an internal fan for energy efficiency, slim design to reduce dead space and enhance fitting in smaller spaces and a 400- 480 VAC design.